Jaypee group is an industrial and well-diversified infrastructural group. 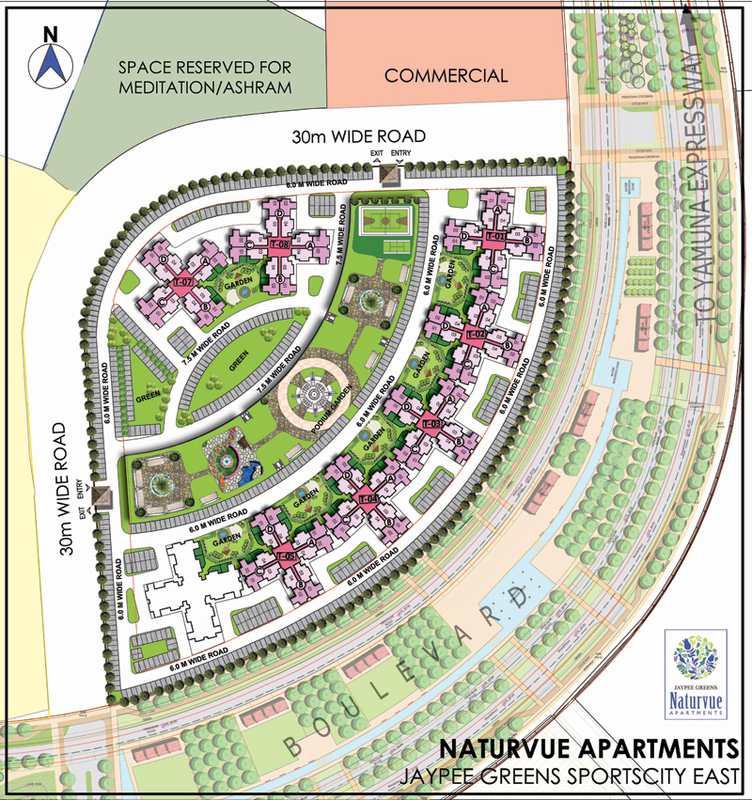 Jaypee Naturvue Apartments are presented by the Jaypee greens. Naturvue Apartments offers family apartments at the heart of Sport city that provides your family an unmatched environment for healthy growth. This project has a podium feature which ensures that there are large landscape green areas. Its large landscaped areas are sufficient with recreation facilities for children and the general sits outs. Here you will enjoy the sight of a tranquil stretch, taste the crispness of the air and absorb the fragrance of blooms. This all apartment are surrounding with the tasteful indulgence of Jaypee green sports city. In this apartment you will find every amenity that you needs. Jaypee Sports City 750 Sq.ft. Jaypee Sports City 1200 - 1400 Sq.ft. 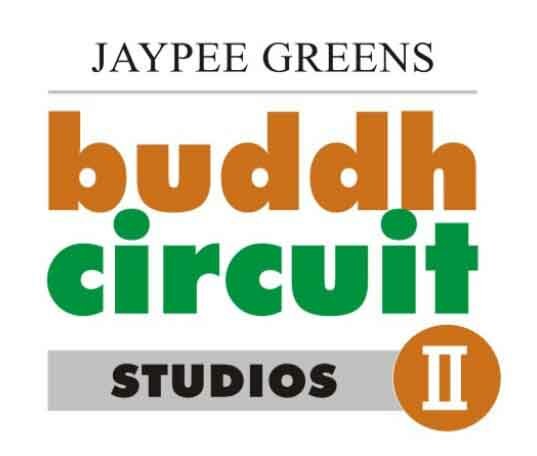 Jaypee Sports City 870 - 2090 Sq.ft. 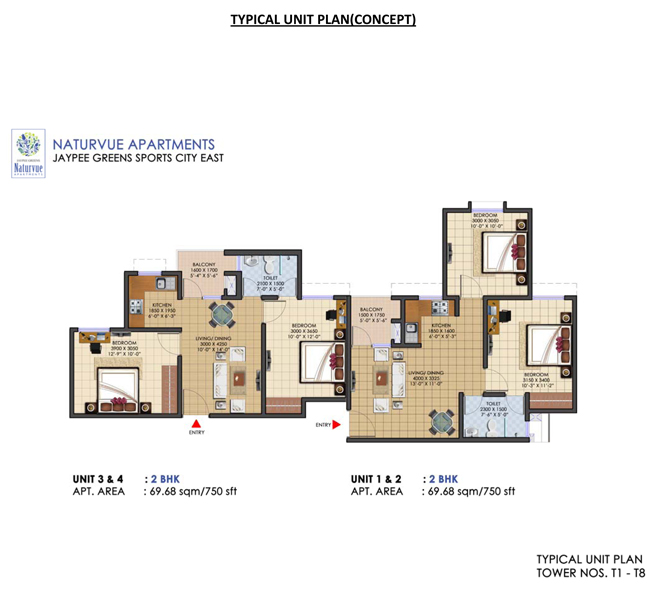 Jaypee Sports City 750 - 2140 Sq.ft. Jaypee Sports City 560 - 725 Sq.ft. 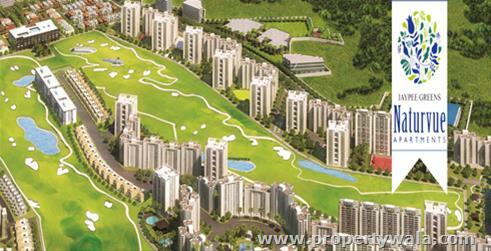 Jaypee Sports City 860 - 860 Sq.ft. Jaypee Sports City 450 - 650 Sq.ft.